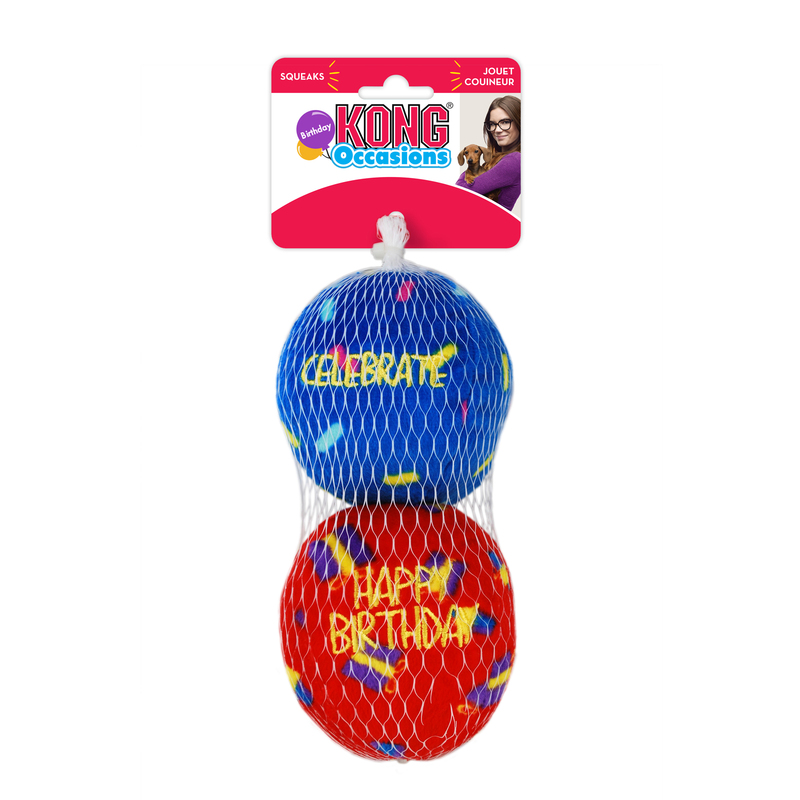 Make your dog’s birthday a bouncy, squeaky fiesta of fun with the KONG Occasions Birthday Balls! 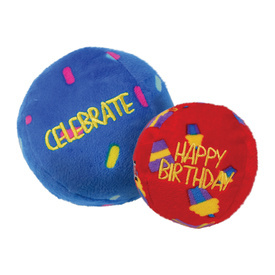 This 2-pack of bouncy, plush balls for dogs is the perfect birthday gift for your furry friend. Each ball contains a squeaker to entice your pet to play and bounces in unpredictable movements to keep your dog interested. You can play fetch and catch with your dog outdoors using the Occasions Birthday Balls or keep the balls indoor to combat boredom for your pet while they’re inside. This 2-pack of ball toys for dogs is available in sizes Medium and Large. 2-pack festive bouncy and plush balls for dogs for birthdays or any occasions – great as party favours, too! Great to use for outdoor fun or indoor play – bond with your dog and keep them active! 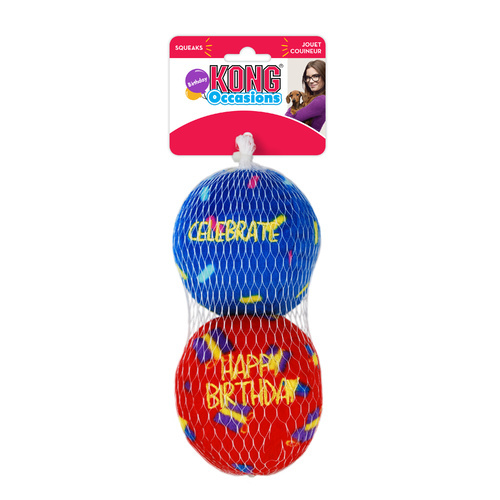 Celebrate your dog’s birthday or any day with the KONG Occasions Birthday Balls 2-Pack Toy Set!